The Tail of the Dragon at Deals Gap has 318 curves in 11 miles. 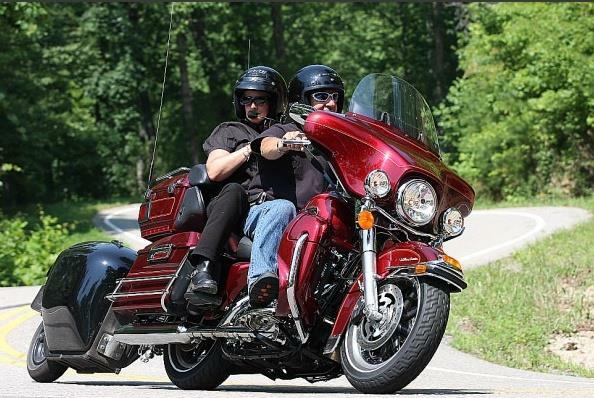 It is America’s number one motorcycle and sports car road. This drive is in the planning stages. We are trying to get an idea of the interest in the club to take this 860 mile, five day drive. If you are, please fill out the form below. The Tail of the Dragon starts at Deal Gap, NC and ends in Tennessee. All evening accommodations are less than $100/night but appear to be nice places. The total trip is about 860 miles. It is about 350 miles from Charleston to Deal Gap, NC. Day 1: The first day we'll try to go about 223 miles and stay at Red Roof Inn, Anderson, SC. Day 2: A 111 miles Drive to Silver Star Restorations in Topton, NC. 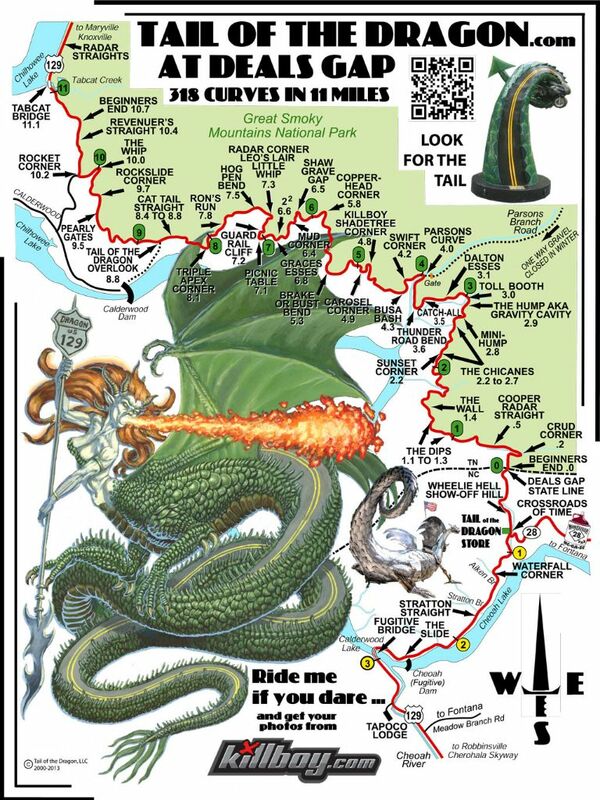 Then 30 miles drive and we'll be in Deals Gap, NC, the start of the Tail of the Dragon. We'll go another 36 miles to Mountain View Motel in Marysville, TN. Day 3: We will continue 87 miles to Maggie Valley, NC. This is a gorgeous drive. There are many waterfalls we can stop at. If there is interest, we'll spend the part of the day going through Wheels Through Time Motorcycle Museum. We'll drive 95 miles through Asheville and get onto the Blue Ridge Parkway and drive to Little Switzerland. We will stay at the Alpine Inn. Day 4: We'll then drive about 95 miles and stay at the Deluxe Inn in York, SC. Day 5: It's about a 192 mile drive back to Charleston. Click on the More options link in the map below to view the route details. We'll probably try to stay on secondary roads rather than highways. Not to scare you, but click on the picture below to see the fatalities on the Tail of the Dragon since 1995. 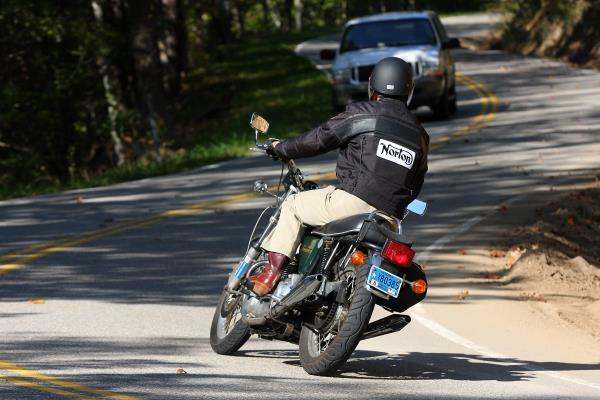 Along the Tail of the Dragon there will be people taking pictures of you as you pass by them. 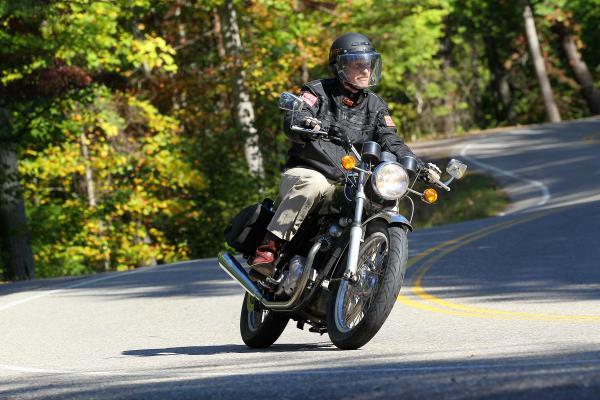 Below is Dave Rosato on the Tail of the Dragon, October 2017, on his HD Screamin' Eagle Deuce. This page has been visited 1320 times! 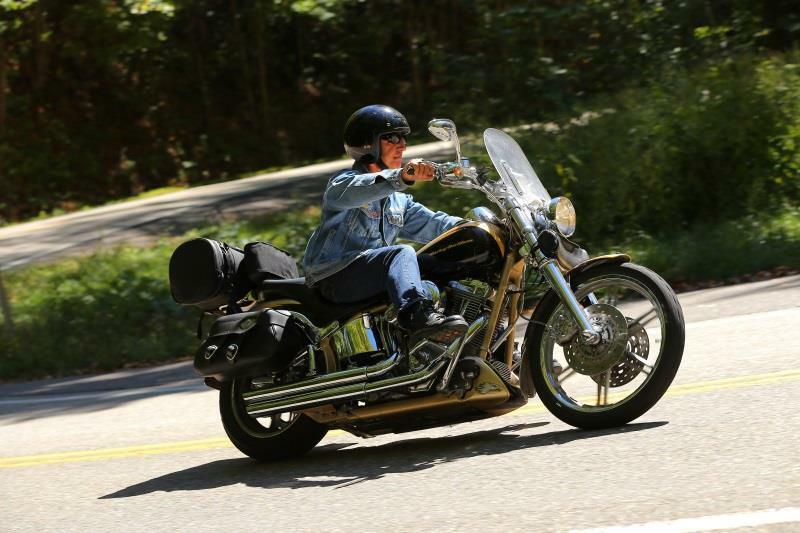 Tail of the Dragon, Wheels Through Time, Asheville, Blue Ridge Parkway, Little Switzerland. A 5 day/4 night drive through the beautiful Smoky Mountains. These are the kind of roads our LBC's were designed for! You don't have to drive your LBC or even a car (motorcycles are fine). If you are interested, please let me know what dates are conflicts with other events and what dates work for you. I will then update the calendars below. Email me directly at Dave@BritishCarClubCharleston.com or use the form below. Please suggest alternate routes (no hiways), accommodations or anything else. It looks like the dates May 21 to the 29th works for everyone! 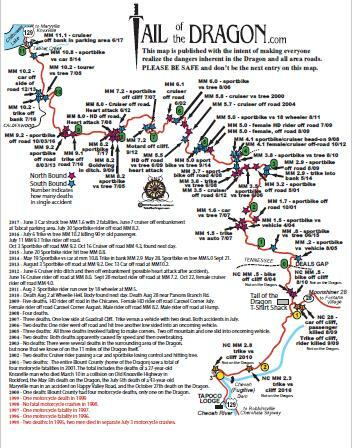 The route below does not include the last day because Google Maps only allows 10 destinations.